Here we are at the end of another month! Time is going so fast. 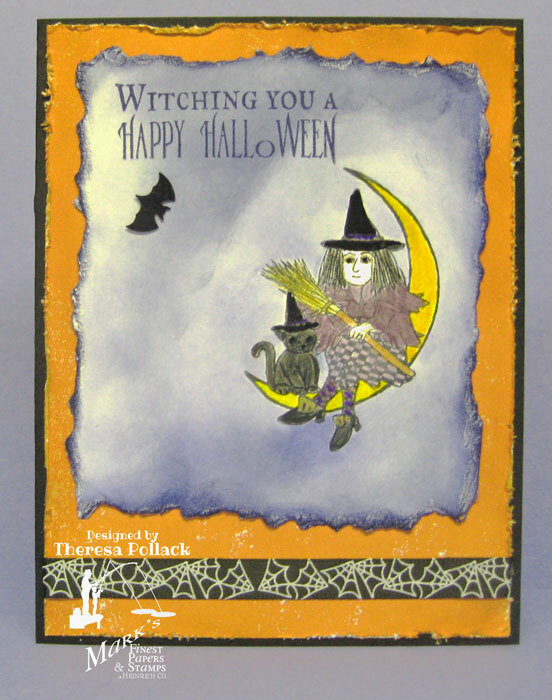 I am sharing this card today to say Happy Halloween. 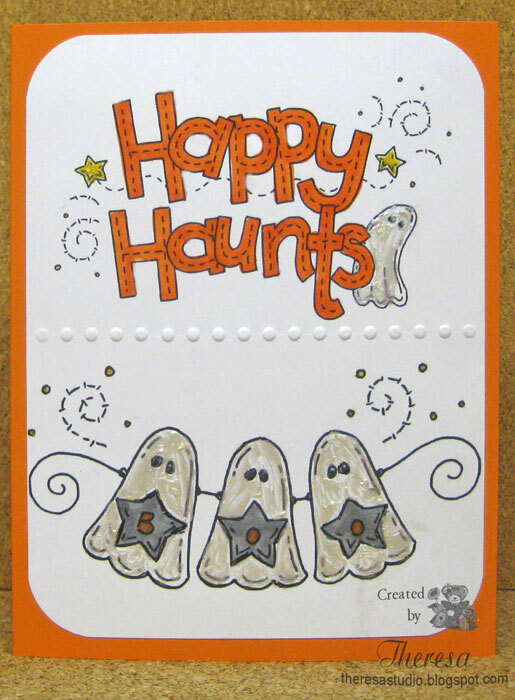 I used 2 digital images by Meljens to create a happy, not spooky card so as not to scare anyone. Not much coloring to do but added some stickles to the cute ghosts for some shine. I used Copics YR09 and N4 and a gold metallic pen to add some touches of color. Finished with a row of embossed dots and rounded corners and attached to a Orange card base. Have a fun holiday if you are celebrating. I plan to get into the candy leftover from Sunday's Trick or Treating. I enjoy all your comments. Welcome. This morning I am thinking of all the people who are dealing with the effects of the storm Sandy and hope that all are safe and life will soon return to normal. My prayers and thoughts are with those who were in harm's way. 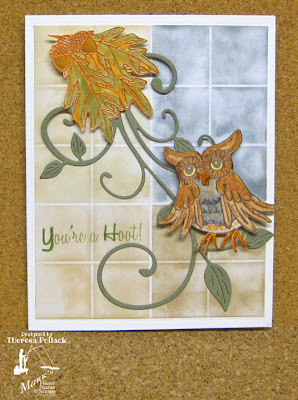 I am posting a card that I made a few days ago using a sketch from Tuesday Morning and using some scraps. The poinsettia is stamped in Espresso Truffle and colored with Copics. I stamped the sentiment in Versamark and embossed with Red EP. Labels: BasicGrey, Challenges, Christmas, Flourishes, Mark's Finest Papers a Heinrich Co. Happy Monday! Yesterday, we had a very wet Trick or Treating in our neighborhood which made for a small turnout but there were still some very cute and spooky ones at our door. 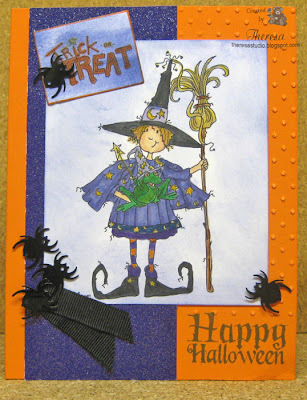 I made this card with a digi from Sassy Cheryl...a Witch and Her Frog which I colored with Copics. 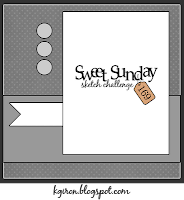 I used a layout from Sweet Sunday. Welcome to another Monday Challenge at Friends of Speedy TV. 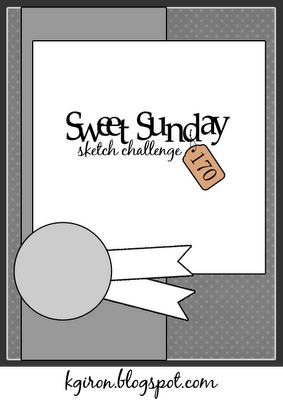 This week we have a CAS Sketch challenge for you to play. 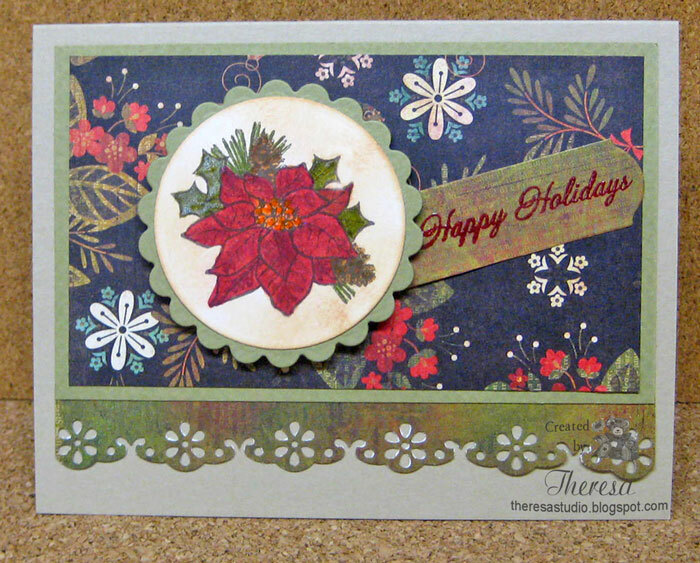 I made a Christmas card using Poinsettia Blooms, a new release from Mark's Finest Papers, a Heinrich Co. I love this set, a great one for holiday cards. I stamped the single Poinsettia on Ivory CS and colored with Copics. 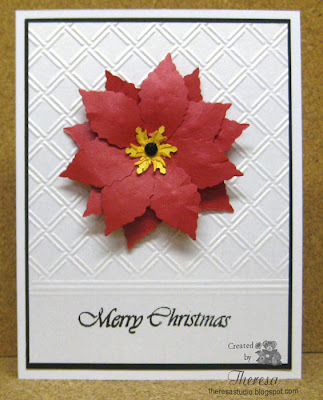 I used pattern papers to complete the card on red card base. 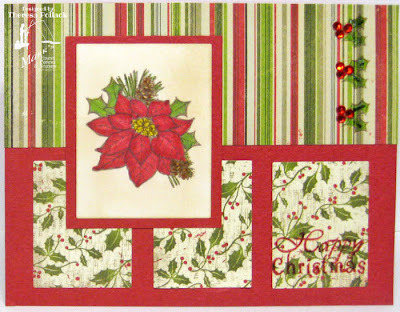 From another new set Christmas Selections, I stamped 3 of the small hollys directly on to the stripe paper and colored with copics and added red gems. If you enter the challenge this week you will have a chance to win the Stamp Set shown on right from Mark's Finest Papers, a Heinrich Co. You have until 11:00 pm on Sunday November 4 to submit your projects at Home of Speedy TV. Happy Weekend! We have a Challenge Theme of Pumpkins at Speedy Fox and Friends this week. 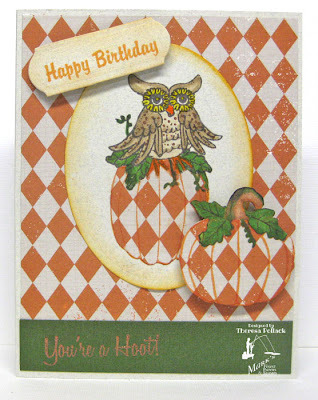 I picked paper piecing pumpkins for my card using Mark's Finest Papers, a Heinrich Co. Autumn Splendor stamp set. I used a sentiment from their Buried Treasure. I decided this would be a great fall birthday card. Please check all of the great Design Team projects with Pumpkins. I look forward to seeing what you come up with so please join in and you could win a stamp from Mark's Finest Paper, a Heinrich Co. You have until 3PM on Friday, November 2, to enter the challenge here. If you use Mark's Finest Papers, a Heinrich Co. stamp, your name will be entered into the drawing twice. A few days ago, my husband gave me a beautiful Hallmark card for Sweetest Day. When he selects a card he is always thinking if the card will give me ideas for my cardmaking. 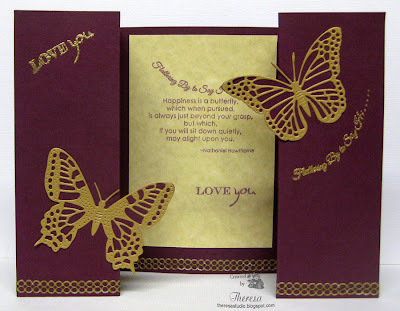 And his card (phhoto at end of post) inspired me to make this one with butterfly dies and angel wing dies and heat embossing. I love the final results. I used a plum CS measuring 51/2 " X 11 3/4" to create the folded sides and used wing dies to cut into the folded edges so the wings extended beyond the folds. 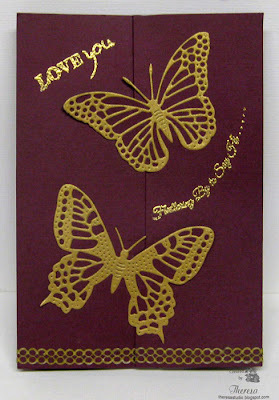 Then I attached Gold Metallic butterflies cut and embossed with dies to the extended wing cut outs . 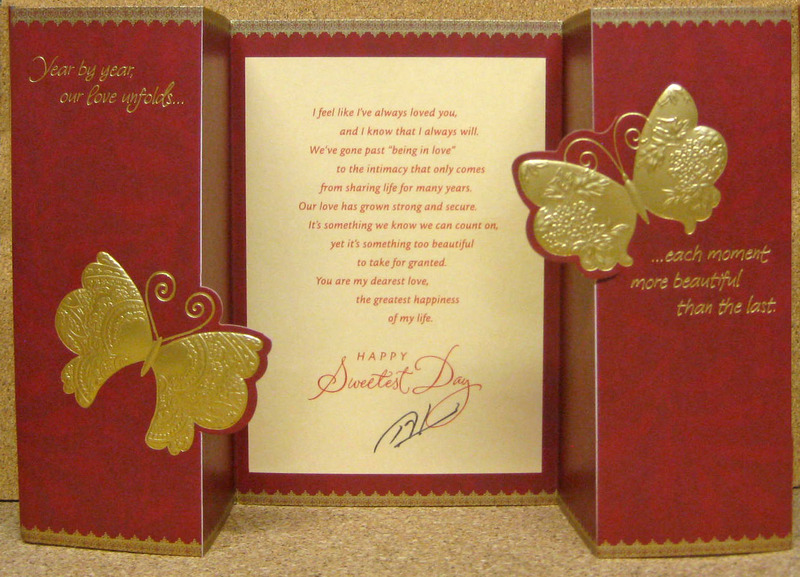 Stamped the sentiments with Versamark and heat embossed with Gold EP. Finished the inside with stamped verses on gold parchment. 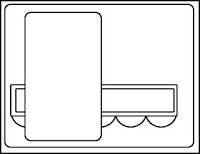 Do You Stack Up: Embossing-heat or dry. Used both. PaperPlay: Butterflies or Bees or other things with wings. 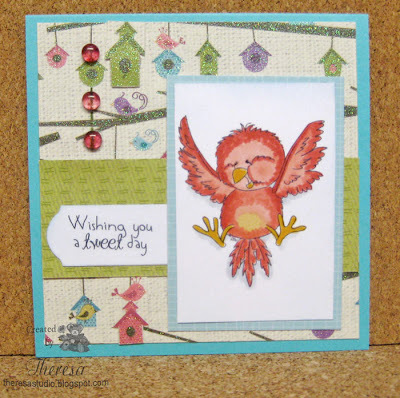 Stamptacular Sunday Challenge: No Rules...anything we want to do. Thanks to my DH for the beautiful card and his support! 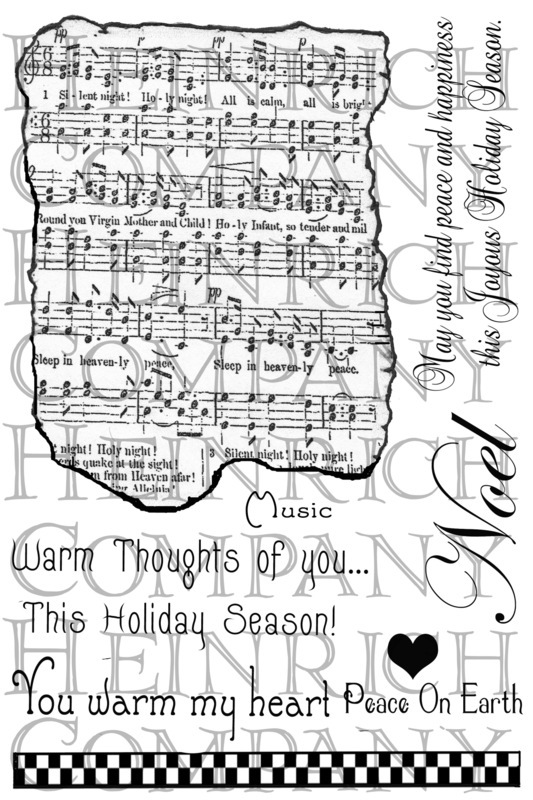 I am thinking about Christmas cards and trying to design a card easy to do in numbers. This might take a long time to make multiple flowers but it is a CAS design easy enough to mail. 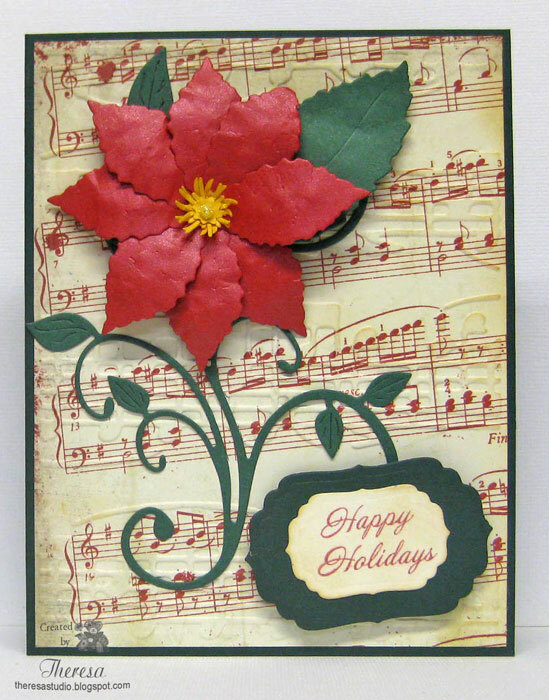 I used Cheery Lynn Build a Flower dies to make poinsettia and added a black rhinestone in center. Also used an Cuttlebug EF Wicker Weave and scoring on white background matted with black. Stamp is from MFP's. Papers all from stash. Hello! This is a card that I made for this month's challenge at Craft a Scene. The theme is Majestic Mountains. I am using a newly released stamp On The Fly from Mark's Finest Papers, a Heinrich Co. I colored the image with Copics and placed on a Wood grain Background and card base of dark gray. Finished with some birds and a sentiment. I kept the design simple to highlight the image. This would be a peaceful place to spend some down time with nature. Note: I see some other entries have used the same stamp at Craft a Scene. I had to improvise some of the needed tools but I did make my first flower shown on my card. I know that it's not perfect and I need a lot of practice but I thought it was pretty enough to use on the card. I know I will be using this die set a lot. I kept my card fairly simple to highlight the flower but it does have a lot of texture. I used a green card base layered with an embossed and distressed pattern paper of sheet music. Added a Green Flourish and then my Poinsettia and Leaf. Finished with a sentiment to make this a Christmas card for my stash. Welcome back to another challenge at Friends of Speedy TV this Monday morning. Hope you had a beautiful Autumn weekend. 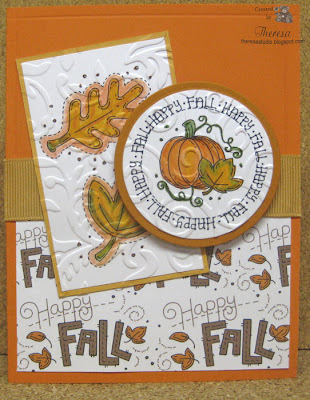 Speaking of Autumn, the challenge this week is to make Halloween or Harvest cards....so be inspired by the upcoming holiday of trick or treating, the fall colors, the harvest of fall crops or whatever you think of related to Halloween/Harvest and join our challenge. 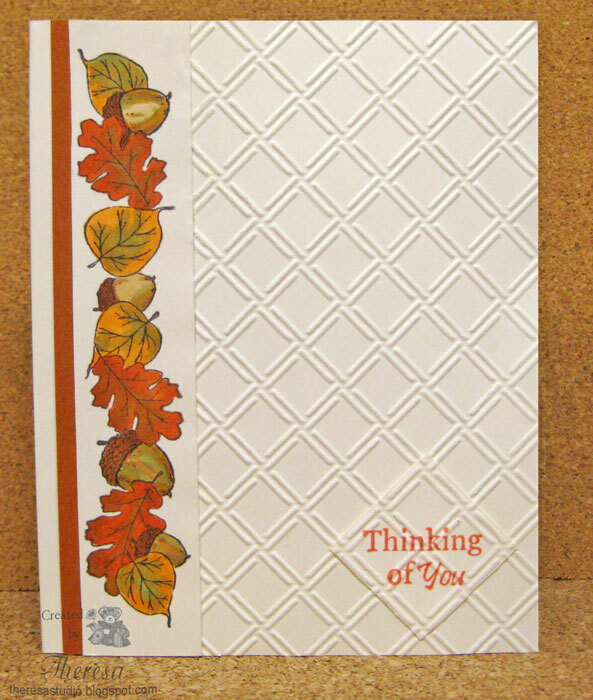 I thought of pumpkins and leaves as shown in my card. 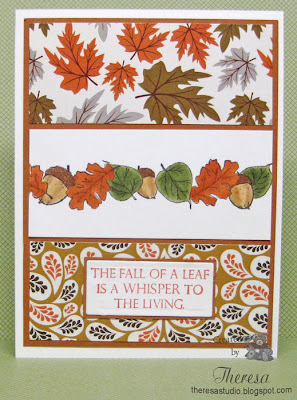 I used "Autumn Splendor" a Stamp Set recently released by Mark's Finest Papers, a Heinrich Co. I used heat embossing on all my stamping..Fall, Pumpkin, and sentiment. I followed a sketch from Tuesday Morning Sketch Challenge. 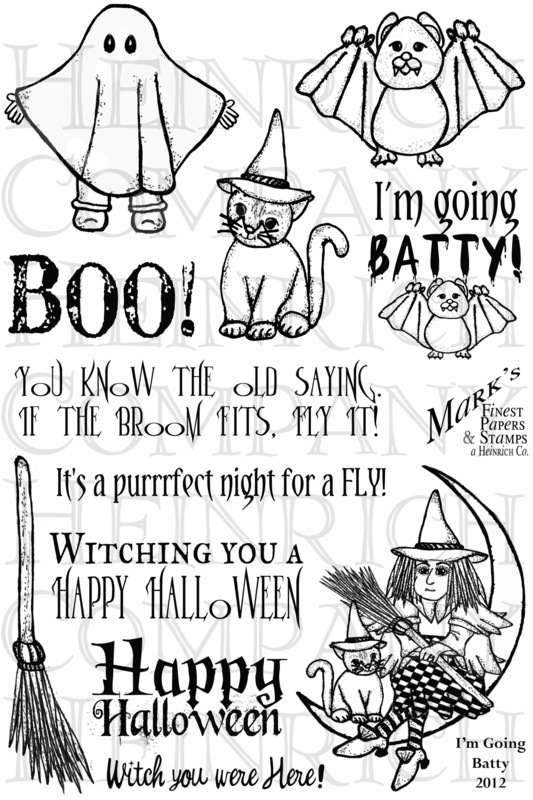 If you enter the challenge this week you will have a chance to win the Stamp Set "I'm Going Batty" shown on right from Mark's Finest Papers, a Heinrich Co. You have until 11:00 pm on Sunday October 28 to submit your projects at Home of Speedy TV. I made this card to help celebrate with Theresa at My Sassy Cards who is celebrating her 50th birthday and being cancer free after 5 years of having being diagnosed with breast cancer. 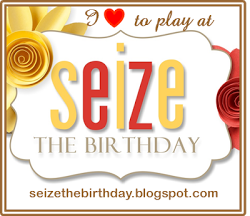 Theresa's sister is having a virtual birthday party all month long at Tuesday Morning Sketches. All details about the party are here. I wish Theresa many more birthdays continued good health. The card is made with a Rose stamp from Flourishes colored with Copics using colors from CR84FN color challenge. 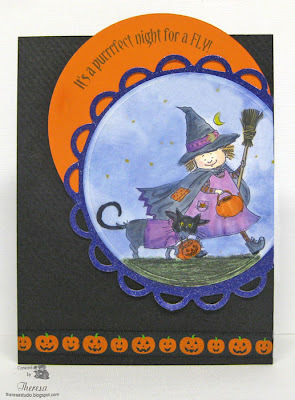 Halloween is fast approaching and I love making cards for that holiday. In this card, I have used a cute digi from Mo's Digital Pencil "Trick or Treat"...isn't she the cutest witch? I colored the image with Copics and pencils with some sponging for the sky. I cut with Nesties Circle Die and placed on a mat of Purple glitter card stock cut with Lacey Circle Die. Used another circle of Orange card stock and arranged on a base card of Black. Stamped sentiment from "I'm Going Batty" stamp set by Mark's Finest Papers. Finished with a cute ribbon of orange pumpkins to match up with pumpkins in the image. Mo's Challenge Blog: Autumn Fun-Trick or Treating is my choice of fun. 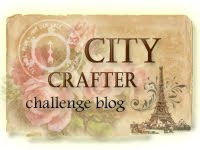 Craft Your Passion: Which witch is which? Cupcake Craft: Two's Company-Bella and Bronte out together. Good morning! Welcome to another Speedy Fox and Friends challenge. 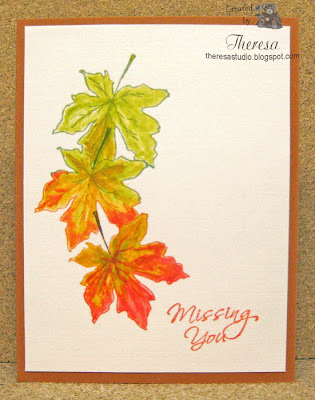 This week, we asking you to create cards with LEAVES. On my card I have used some copper accents with heat embossing, metallic paper, brad, and a ribbon. 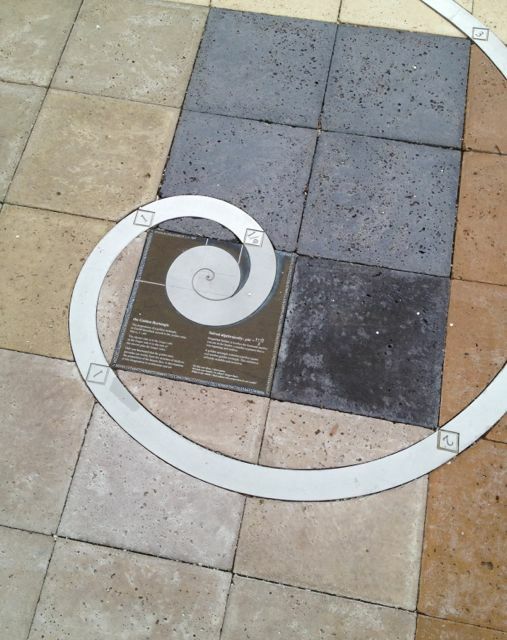 (The ribbon has copper threads but they do not show in photo.) 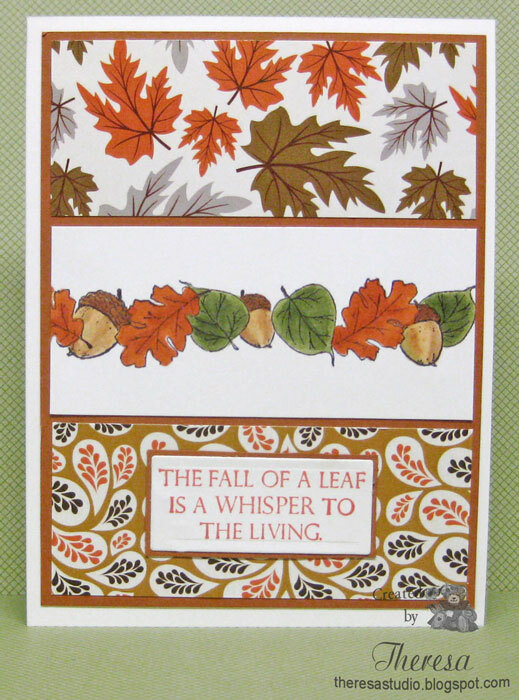 I have used "Autumn Splendor" and "Tweet That"( Partial Stamp-Word Happy) sentiment from Mark's Finest Papers, a Heinrich Co. I look forward to seeing what you come up with so please join in and you could win a stamp from Mark's Finest Paper, a Heinrich Co. You have until 3PM on Friday, October 26, 2012, to enter the challenge here. If you use Mark's Finest Papers, a Heinrich Co. stamp, your name will be entered into the drawing twice. I just had to join in on the last challenge at Card Positioning Systems. I have had fun with many of their great challenges and hate to see them go. 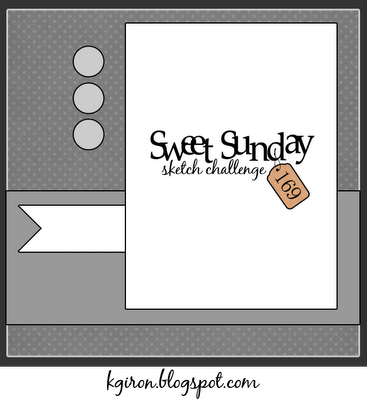 I chose CPS Sketch 201 which I had used before and is a fave. I decided to go with colors red, white and blue. 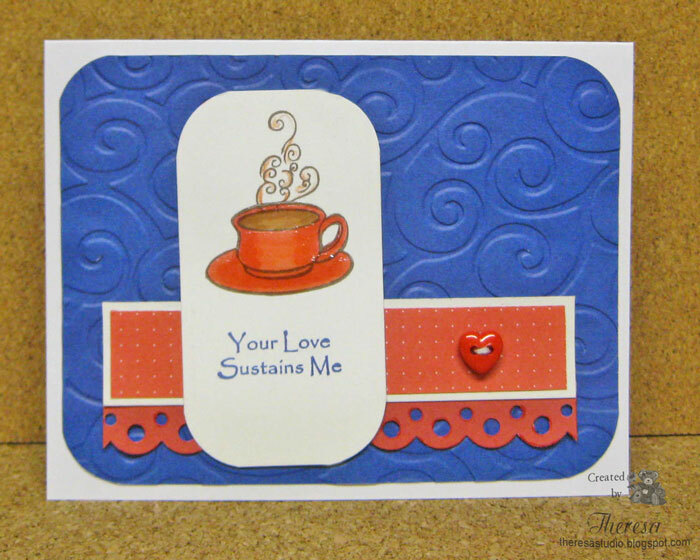 I gave this card to my husband on our 35th anniversary this past weekend....he grinds beans and brews coffee every morning....and brings me a cup. How wonderful is that? Today has been a very windy and rainy day...hoping the leaves on the lawn are all blown away. 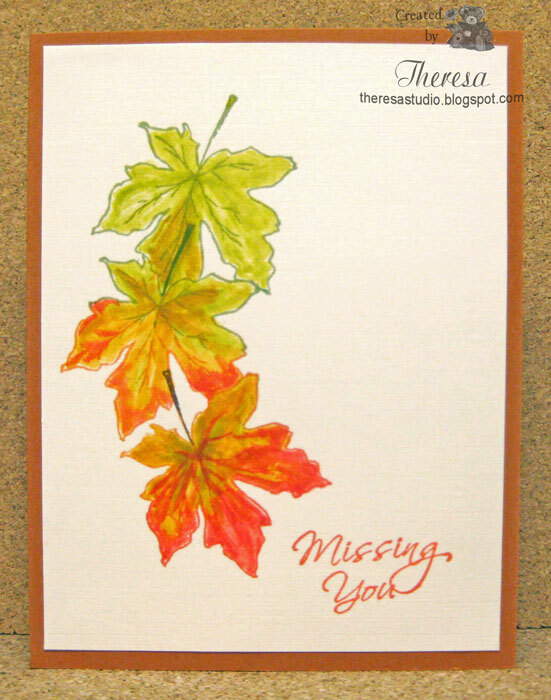 Since it was too windy to rake today, I took time to make a card for one of the challenges at Operation Write Home. 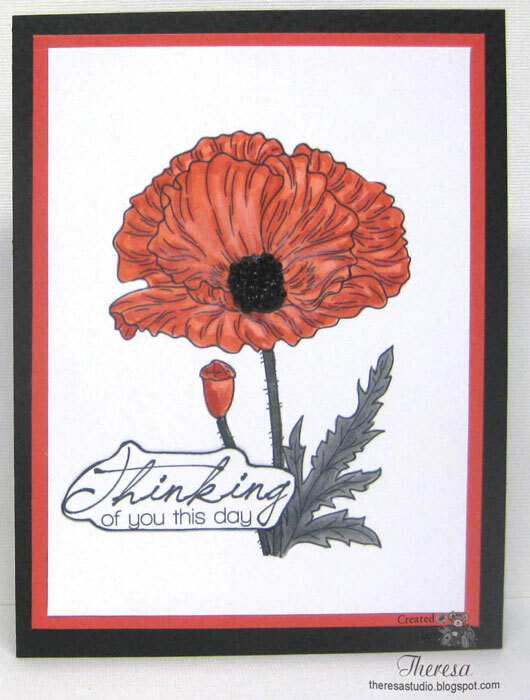 Midweek Throwdown Color Challenge---to make cards using black & white with a pop of red or green for our heroes to send home to their family and friends! 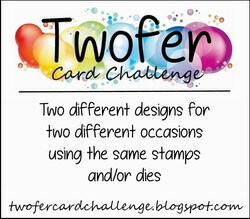 I just received the "Poppies" digital set from Doodle Pantry for playing in their challenge this week. 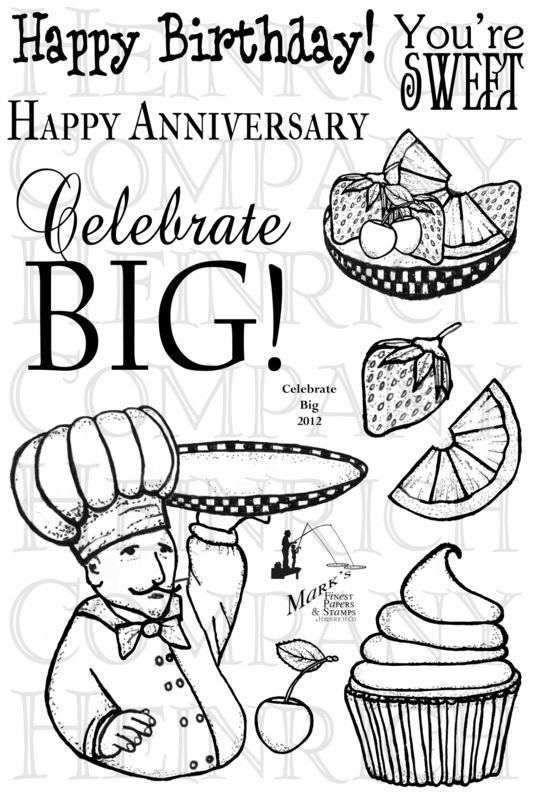 I thought one of their stamps and sentiment would be perfect for a card and Doodle Pantry is the sponsor for the challenge too. I printed the single Poppy and colored with Copics R22,24,27, N4,N7 and 100. Using artistic license, I did the leaves and stems in shades of black since I wanted to stay with black, white and reds. Trimmed the printed sentiment, edged with black ink and placed on the image. I used a black textured card base, red mat and then finished with black beads in the center of the poppy. 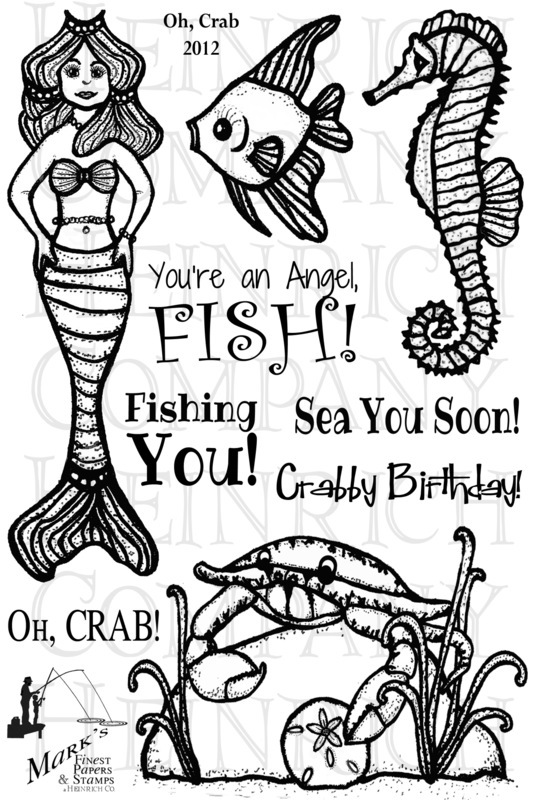 I think this would be a great card for OWH since I kept it CAS with appropriate sentiment and embellishment. Charisma Cardz: Clean and simple. 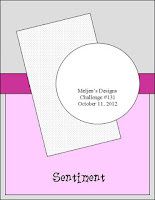 It has been awhile since I did a Meljens Design Challenge and I do love to create with her images. This card is for a sketch challenge shown on the left. 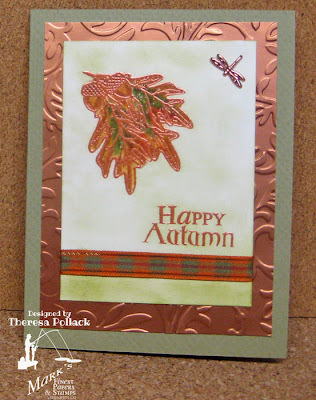 I used 3 of her images-Happy Fall (for my DP that I created), Happy Fall Badge, and Two Leaves. I colored with Copics and Markers. I cut the badge with a Nesties circle die and matted with a larger circle. 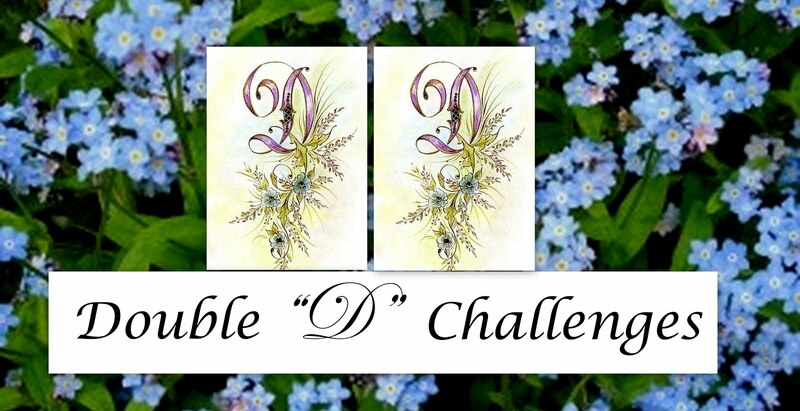 I embossed the 2 images that I matted with Cuttlebug EF Victoria and Divine Swirls. Finished with some scoring and grosgrain ribbon in a fall color. Welcome! This is a quick post for a one layer card. I went very CAS on this card for CAS-UAL Friday Challenge to "Put your heart into it". 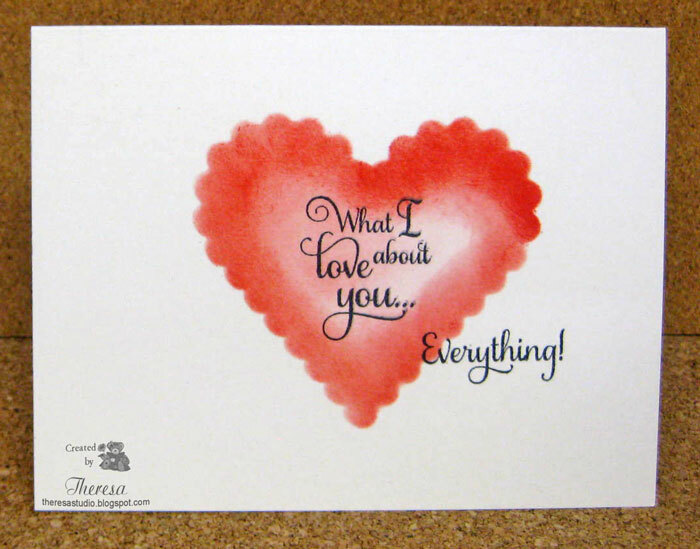 I simply used masking to sponge a heart with Distress Ink and a Spellbinder Heart die. Stamped the Flourishes verse from "Love Sweet Love"using Memento Tuxedo Black. The heart looks a bit off center in the photo but is in the center. Guess it is the angle of the card. Welcome to our Monday challenge at Friends of Speedy TV. This week we are doing Altered Items. 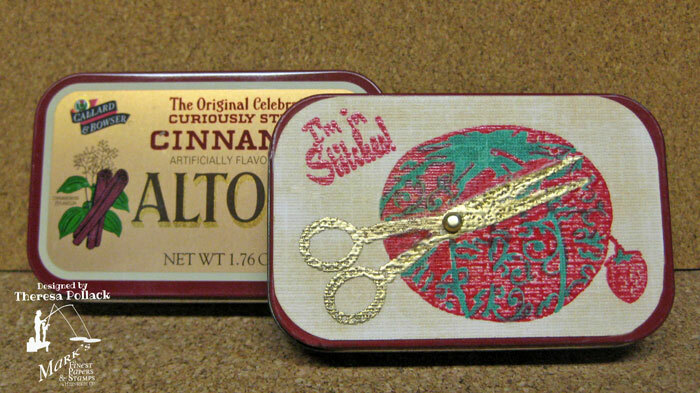 I have collected empty Altoids tins for a long time and have quite a few. But what to do with them?? 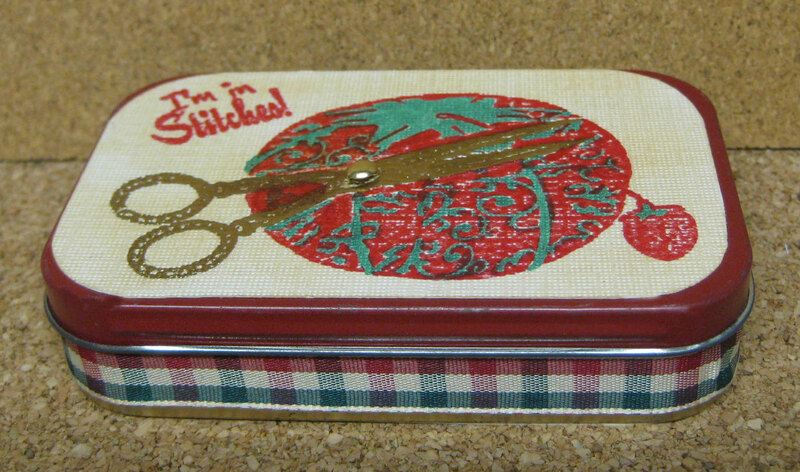 I have thought about making sewing kits with some of the tins for gifts. 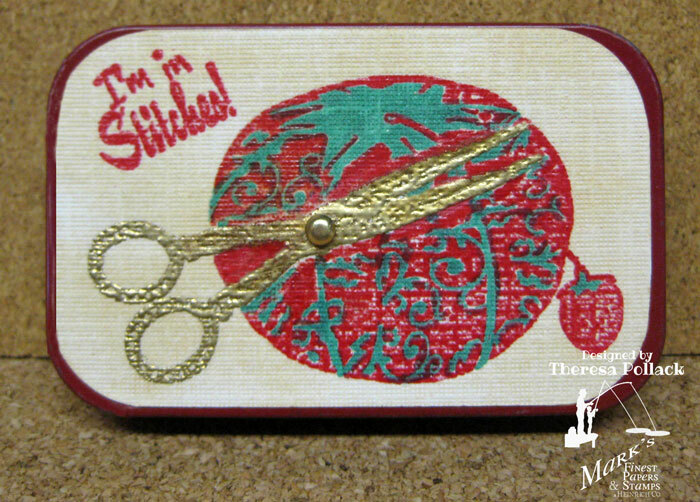 When I received the stamp set "I'm In Stitches" by Mark's Finest Papers, a Heinrich Co., I thought again about making sewing kits but did not. But when I was thinking about this challenge to do an altered item, I decided it was time to give the sewing kit a try. And so here is my result.....an Altoid Tin becomes a Sewing Kit to be used for travel or in a purse. The tins with a smooth top work best for this but there are tins that have an embossed top. 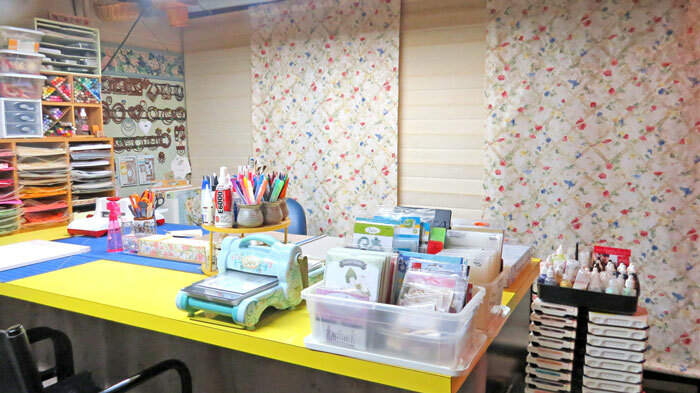 Using an adhesive back paper made this a very easy project. First I made a pattern to cover the top of the tin. I cut the cover in white textured paper backed with adhesive and stamped first the Scissors with Versamark Ink and Gold embossed. Masking the scissors I stamped the Pin Cushion and embossed with Red EP. I filled in the design with a Green Copic. I did the sentiment also with Versamark and Red EP. I sponged the entire cover with Distress ink to darken the paper. I attached a gold brad to the scissors. Attached the cover to the top of a tin. Added ribbon around the tin. I also covered the bottom with a piece of the adhesive paper (not shown). 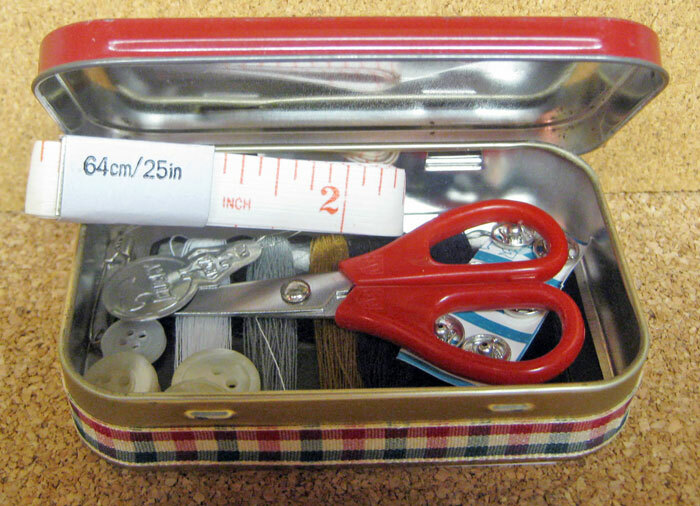 I then added my sewing kit items to the inside. If you enter the challenge this week you have a chance to win the Stamp shown below by Mark's Finest Papers, a Heinrich Co. You have until 11:00 pm on Sunday October 21 to submit your projects at Home of Speedy TV. Party Time Tuesdays: Anything but a card. I sprayed with a protective coating to protect the surfaces. I enjoy all your comments. Good morning. I seldom show 2 cards in one post but since these cards and supplies are similar, I am going to include both in this post. 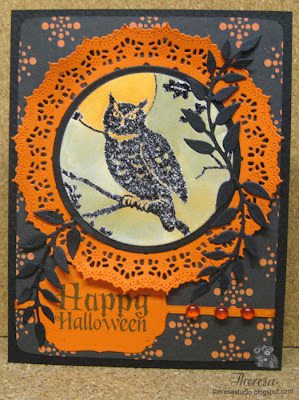 The first card is one that I made for Cheery Lynn challenge to use Black and Orange and at least one Cheery Lynn die. I used the Kiwi Doily Die and Olive Branch Die. 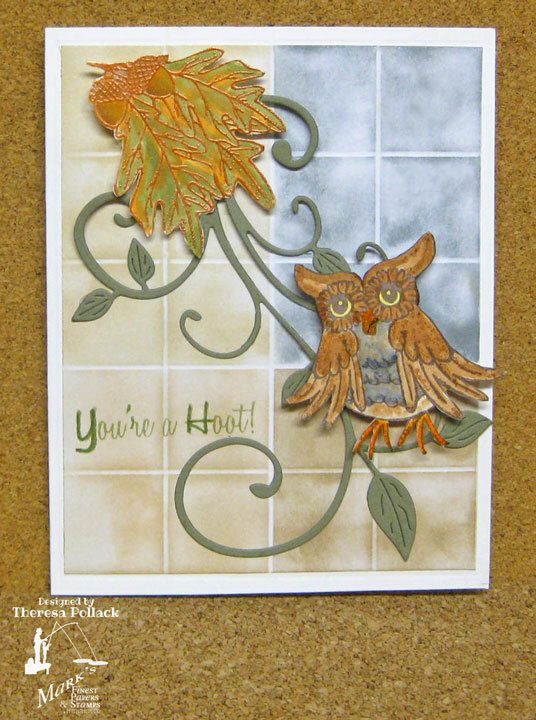 The Owl is a Northwoods stamp and the sentiment stamp from MFP's I'm Going Batty set. Also used Corner Punch, Spellbinder Circle dies, and Label 4 die. Finished with bit of ribbon and some dewdrops. Pattern Paper is from Echo Park Apothecary Emporium. Cheery Lynn: Black and Orange I WON!!!!! My second card was also made for Halloween and a Black and Orange challenge and I used the same stamps and most of the same supplies but added a border with Martha Stewart punch Drippy Goo and some confetti spiders. Embossed the orange mat with Cuttlebug EF Forest Branches. Good Morning and welcome! We have an interesting challenge at Speedy Fox and Friends this week---A Photo Inspiration Challenge. Be inspired by the photo shown on the left to make a card. It will be interesting to see what you come up with so please join in and you could win a stamp from Mark's Finest Paper, a Heinrich Co. You have until 3PM on Friday, October 19, 2012, to enter the challenge here. If you use Mark's Finest Papers, a Heinrich Co. stamp, your name will be entered into the drawing twice. 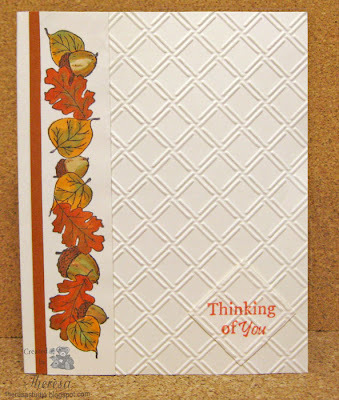 I was a bit stumped but finally came up with a card using "Autumn Splendor" set by Mark's Finest Papers, a Heinrich Co. 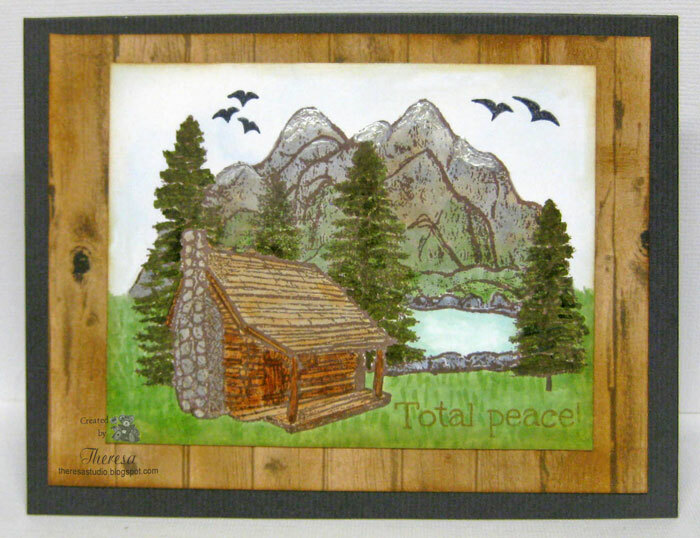 I used Scor-pal to set up a tile design for the background and sponged with Memento Inks. I layered this on a white card base. Added a green flourish cut with Cheery Lynn Die "Fanciful Flourish" and then added the Owl and Leaves with Acorns that I stamped, embossed (Leaves), colored with Copics and fancy cut. I used colors brown, gray, yellow, taupe and tan from the photo to inspire my choice of colors. Finished with sentiment using Memento Pistachio. This is a card that I made this week and I almost forgot to post it. It was saved as a draft ...luckily I found the draft today. 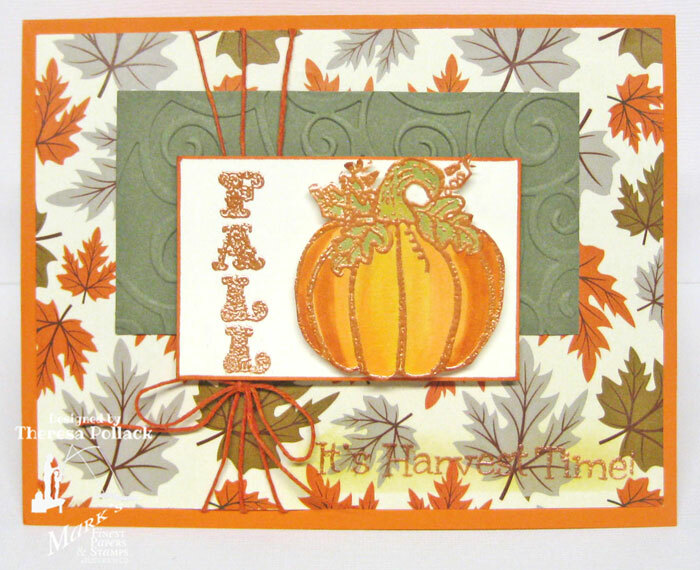 I am back with another fall card...I did say I love to make fall card..didn't I?....just love the beautiful colors of Autumn. I decided to make another card using this border stamp which is so fun to color. 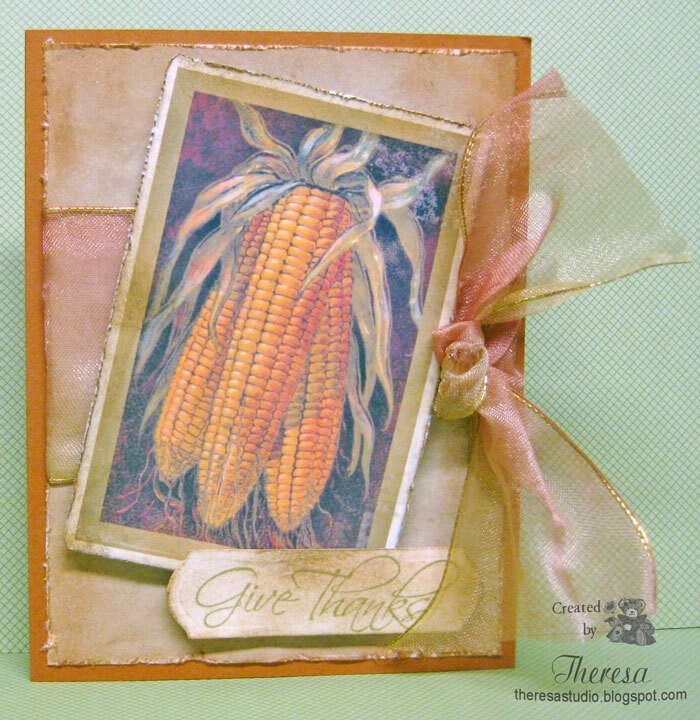 This is another CAS card but I added some embossing to give it some dimension. Lollipop Crafts : Something old, something new. Old stamp and new inks. I am back with another Vintage card. When searching for an image for the challenge at Sugar Creek Hollow, I found this image from Magic Moonlight Free Images in my files and just had to use on a card. After printing, I distressed the image with distress inks and a distress tool and placed on a layer of Digi Paper and then onto a mat of BasicGrey pattern from Oliver paper pad. My green card base is from GKD. Added lace and ribbon with a couple of metallic leaves recycled from something. The lace was recycled from my Mother's scraps in her sewing room that I claimed on a visit. Sugar Creek Hollow: Give Thanks for Autumn. 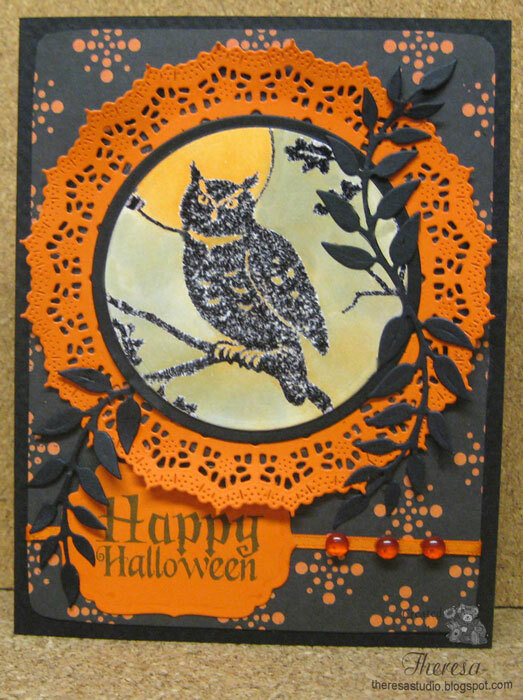 Make a vintage or shabby chic card or other paper-crafted project in fall colours such as rust, orange, deep gold and reds. BasicGrey Challenge: Use ribbon and lace. Used DP from BasicGrey Oliver Paper Pack. 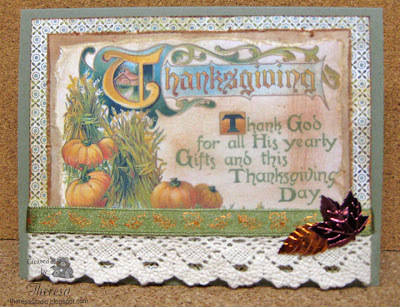 Vintage cards are great for Thanksgiving cards especially when I have a great image to use that does not need coloring. 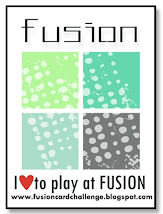 I just aged this digital image from Create with TLC with some distress ink and a distress tool. My background is a Digital "Old Paper"" from Graphics Fairy which I also distressed with ink and a tool. Finished with the sentiment and a wide wired ribbon with ombre colors that matched the colors in my card. Does the corn image make you think of the first Thanksgiving? Sugar Creek Hollow: Give Thanks for Autumn....make a vintage or shabby chic card or other paper-crafted project in fall colours such as rust, orange, deep gold and reds. 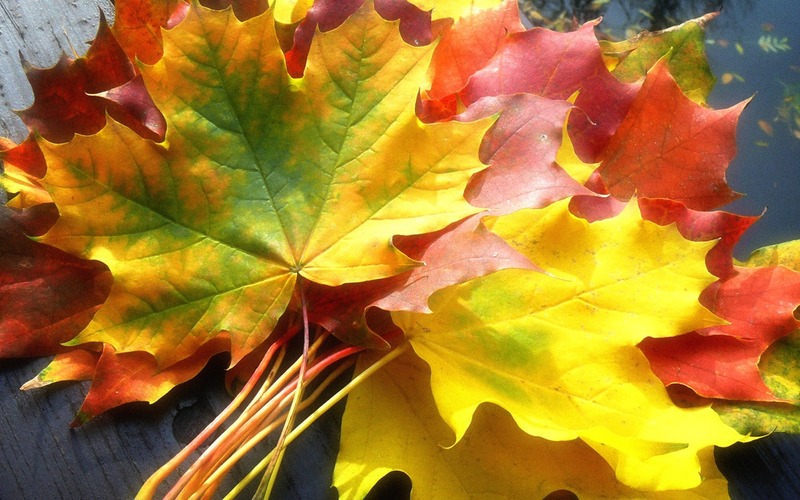 I love this time of year....the color of leaves is ever changing. Every morning the sun shines through the trees and they are a blaze of colors. The canvas is aglow with a new explosion of colors each day as I look through the windows. I love making fall cards and showing the colors of Autumn. In this card I tried to capture the transition of colors in a leaf. 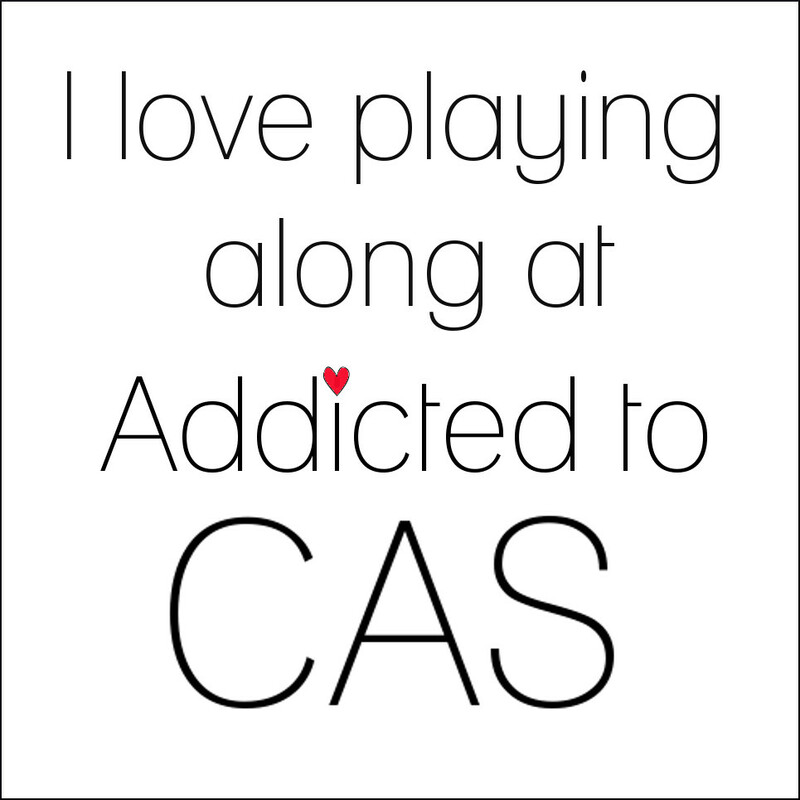 It was just a fun thing to do as I played with masking and coloring with Distress inks creating a CAS card. The House That Stamps Built: DCC1010 Masking Challenge....use masking to layer falling leaves. Inks: Memento Morocco, Pistachio, and Tangelo for stamping the images and sentiment. I am back with another card for the challenge at ABC Christmas Challenge - T is for: The Twelve Days of Christmas. I have images that I could use for each day of Christmas but I will only post one more for the second day. Again I am using the digital paper and images purchased online and designed by Kathy Sue Designs . The kit is "12 Bears of Christmas" and is perfect for the challenge. This card shows The Second Day of Christmas theme. After printing, I cut out the round image and sentiment with circle dies and placed on red mats cut with Nesties scallop circle dies. Used a green card stock base that I embossed with Cuttlebug EF Divine Swirls and highlighted raised areas with Brilliance Moonlight White ink. Finished with a red ribbon. Another simple and easy card but again it sings the song to a "T". Craftyhazelnut's Christmas Challenge: Carol Singing....my bear is singing the carol. I was inspired to make this card when I read Vicki's Oldies but Goodies Challenge at Stamp TV to use 2 different designer patterns. My card was made with Ivory Card Base but it looks white in my photo. I think the colors look much richer in real life. I colored the stamp using colors inspired by the DP and even they do not look true in the photo. Anyway I am going to enter the card in some fall challenges. Our trees have turned color in such a quick time....like overnight. And the mornings have been frosty. Autumn is truly here. I seem to be making all sorts of cards these days. I was inspired to make this one when I saw a challenge at ABC Christmas Challenge - T is for: The Twelve Days of Christmas. I remembered some digital images and papers that I had purchased online last year and the light went off! The paper designed by Kathy Sue Designs is "12 Bears of Christmas" and is perfect for the challenge. 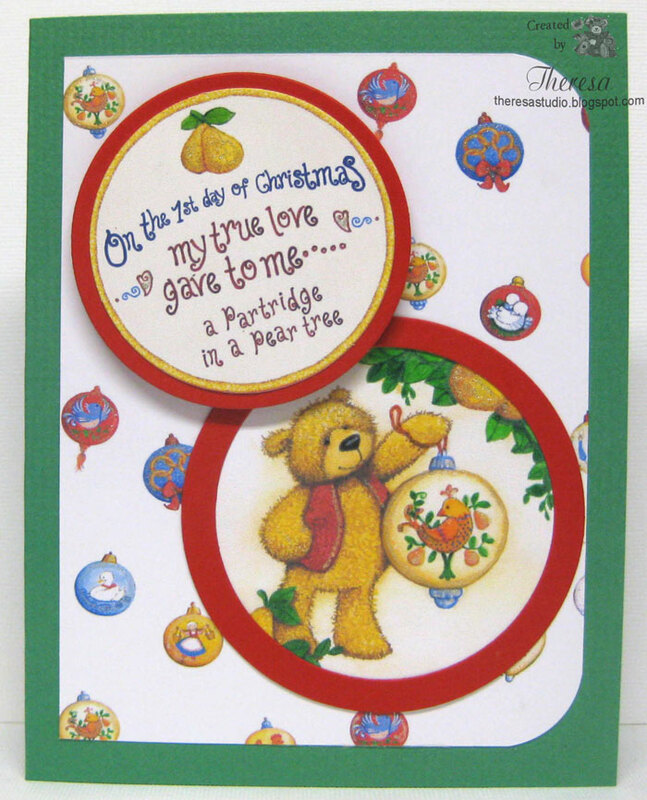 This card shows The First Day of Christmas theme. After printing, I cut out the round image and sentiment and placed on red mats all cut with Nesties circle dies. Added some shine and highlights with Clear Star and Glaze Pens. Attached the circles on pattern paper that I printed and then on to a card base of green card stock. The ornaments on the pattern paper show other days of the song. A simple and easy card but it sings the song to a "T". Happy Monday to you! We have a fun challenge for you today from Friends of Speedy TV. ...use Distressing on your card. 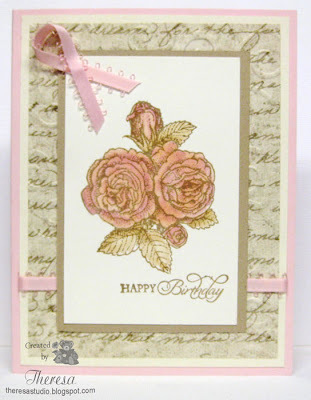 There are several ways to do distressing, the process of giving a card a worn look. 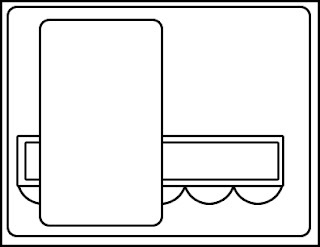 Probably, the 3 most common ways are with inks, with special tools, and with stamps. I have used a combination of distressing on my card. 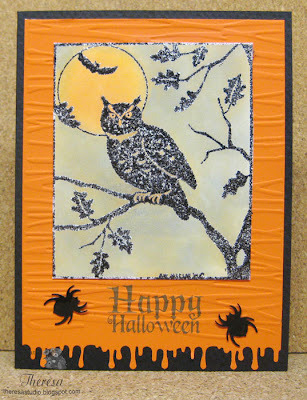 I used a distress tool on the edge of the orange mat and also added some distress ink on the edges. For the image layer, I simply tore the edges and then sponged with ink. For the image I used a mask over the stamped area and sponged the background to add a distress look to the sky. I cannot wait to see how you use Distressing Techniques. If you enter the challenge this week you have a chance to win "Celebrate Big" by Mark's Finest Papers, a Heinrich Co stamp shown below. You have until 11:00 pm on Sunday October 14th to submit your cards at Home of Speedy TV. 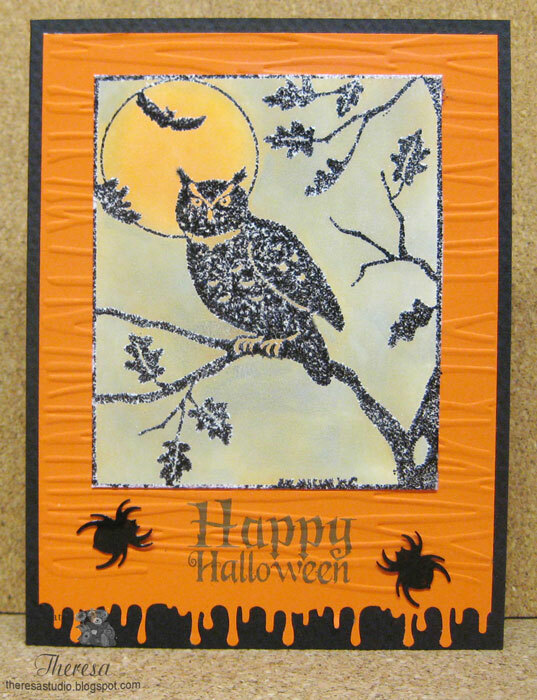 Stamps: "I'm Going Batty" by Mark's Finest Papers, a Heinrich Co.
Crazy 4 Challenges: C4C157-Use Fave Halloween Character. Always like a scary Witch.